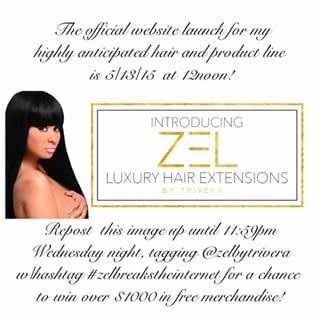 Tammy Rivera has launched ZelByTrivera, the official website for her highly anticipated hair and product line on May 13. Tammy Rivera Malphurs is known for using her Instagram account quite regularly and often posts pictures of her life with Waka Flocka Flame, aka Juaquin Malphurs. She got married to Waka Flocka Flame on May 26, 2014.